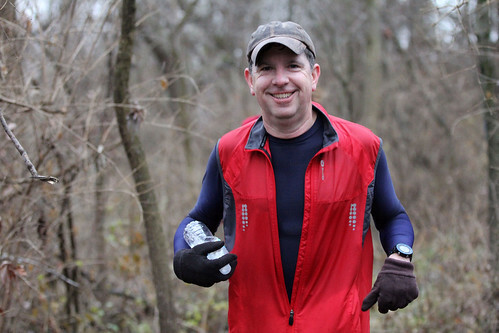 This is my second year doing the Lil Woods Ultra. 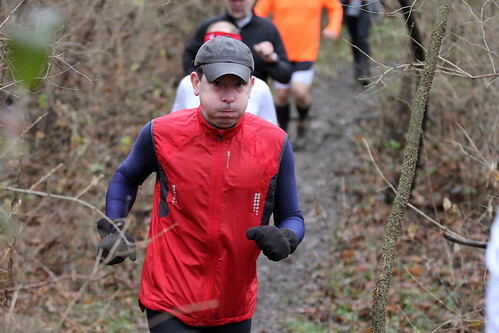 It is a "last man standing" format where we all ran 4.1 mile loops with each loop starting at the top of the hour. So the sooner you got in from your loop, the longer you had to recover, but also get cold and tighten up. Definitely some strategy there. The loops were nice in that it let people drop when they were ready. I didn't train for the race again this year but my mileage for this year is slightly higher than my total mileage last year so I figured I could top last year and hit 50k. Pretty happy on the first lap :-). The temps were in the mid forties and we had significant rain the night before making the trails the sloppiest I'd ever seen them. By the second lap, my glutes were barking about all the work they were having to do dodging puddles, and keeping me upright whiled sliding around. After lap two, it was obvious I wasn't going to make it eight laps. It was also obvious I have a weak core. Nice shot of me sighing, yep, I was about done. I bagged it after four laps. It just wasn't my day but that's ok. It's a very well done, free race with lots a great people. 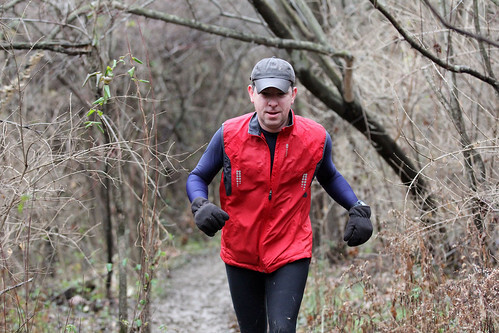 I sat around for an hour afterward cheering on other runners, chatting with other racers that dropped out and eating pierogis that the race director Travis made. They were delicious! When I got home I was curious if it was just the bad conditions or if I wasn't as well trained even though I ran 100 more miles this year than last year. What I found surprised me. I didn't remember being so much more consistent last year than this year. 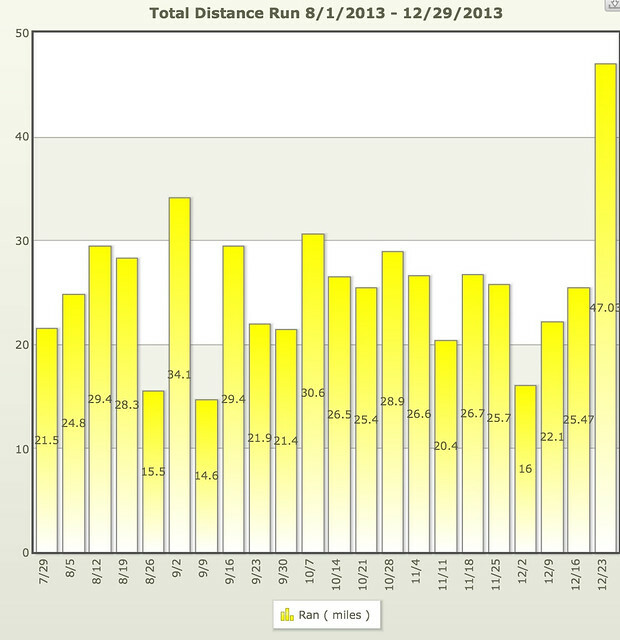 Check out the weekly mileage from August through December last year vs. this year. 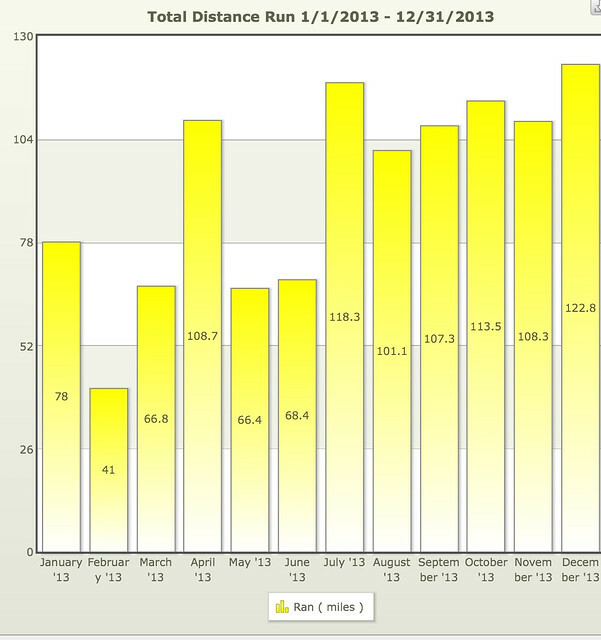 Marathon training skewed the yearly total a bit. 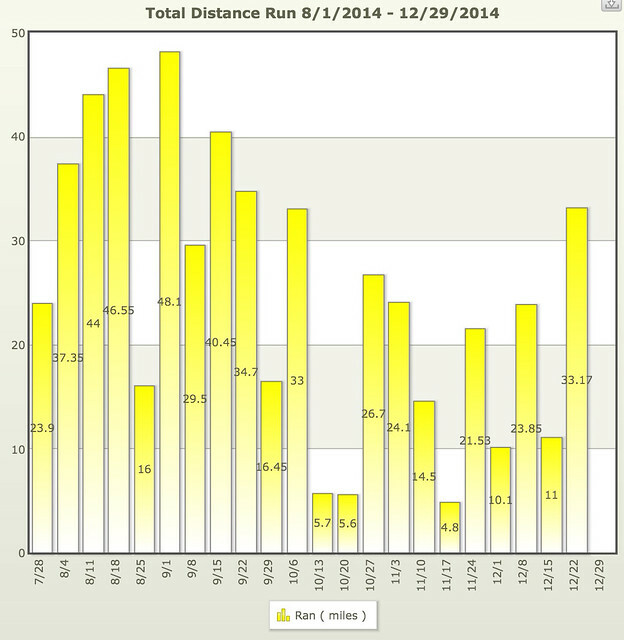 Over 20 miles per week (except for 3 weeks) last year. 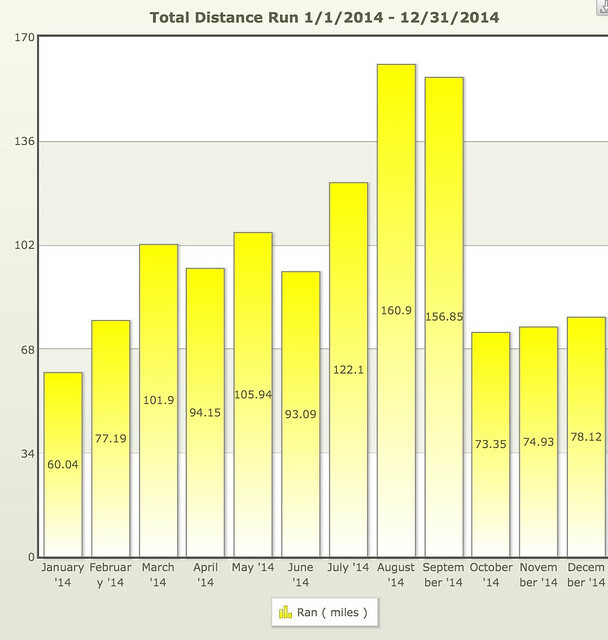 100 mile months were on the back half of the year last year. I think this is my third (maybe fourth) time doing XLMIC's Jingle Bell Hell race (virtual version). I love the idea and love the fact that Marjorie even got to run it this year. 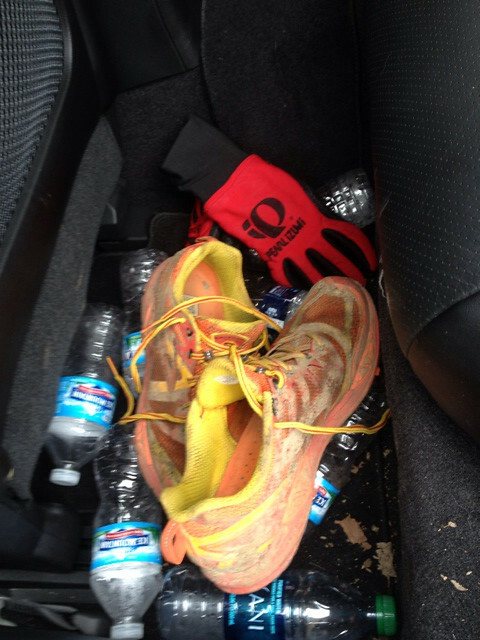 Anyway, I ran it this year and it was hellish :-). Not sure which run I'm actually claiming as my JBH run. 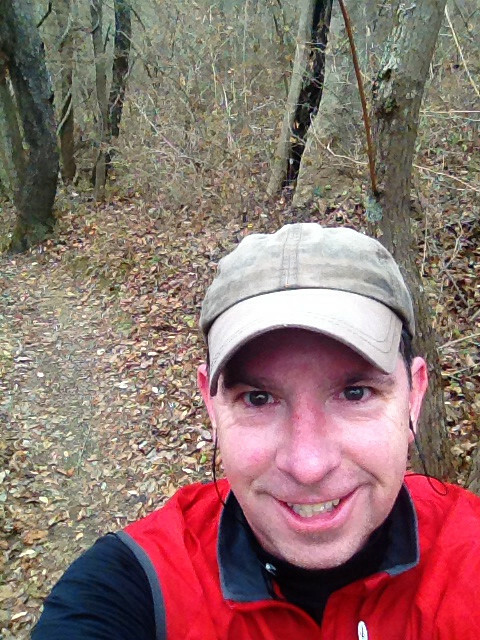 I've been running local single track every Saturday and Sunday now that it's winter, hellish I know. 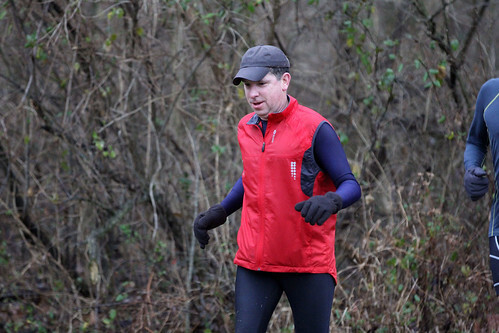 Last weekend was so warm I ran in shorts, hellish. This weekend I couldn't find my Santa hat, hellish. It's Christmas and there isn't any snow on the ground, hellish. 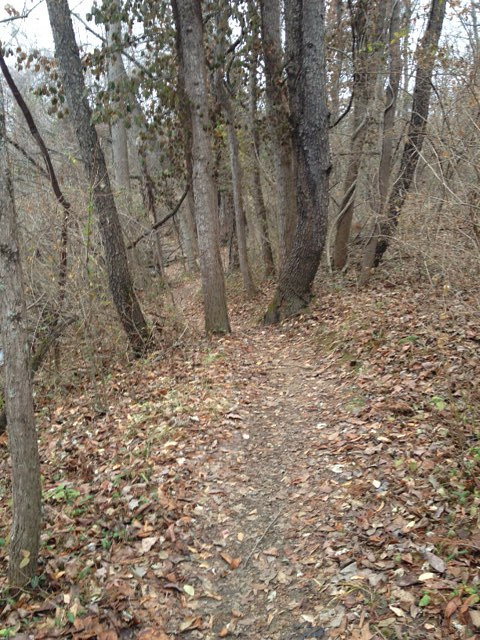 Anyway, here are a few recent trail pics. 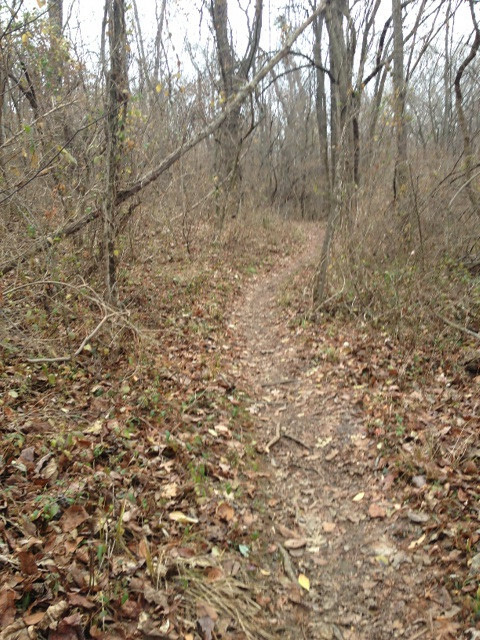 Lots of drab single track this time of year. Bring on the snow. Thanks for the virtual hosting of JBH XL, maybe some day I'll mange to be out your way to run it in person.